Get immediate access to evereything you need to earn significant online income. Everyone needs a home. A community. A safe place to share your success and failures with people who know what it's like, because they are just like you - trying the make a full-time living with their online business. It's not easy. But it can be much easier sharing ideas and resources with others. 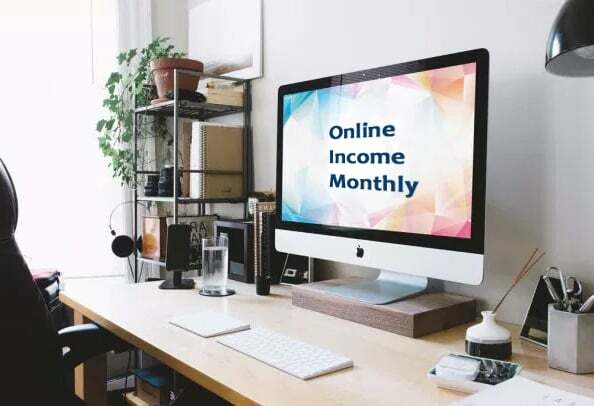 Keep reading to find out how subscribers to Online Income Monthly help each other succeed in this increasingly competitive industry. Our library contains all the best courses on every aspect of online business. Over 5 TB of material on virtually every way to generate or increase your online income with new courses being uploaded all the time. Our subscribers get exclusive access to powerful software that quickly and easily builds websites, generates traffic and even helps you monetize that traffic. We collect and share strategies and recommendations from the top experts in crypto currency investing. If you're just getting started, we can help with the basics of how to open an account with a crypto currency exchange. If you're ready to invest, we have the intel about what, when, where, why and how much to invest. The best way to get your questions answered and get feedback about your own ideas is in direct discussion with our developers, project leaders, and our other experienced and inciteful subscribers. Learn from Journeys, Guides, and Case Studies we're always coming up with new ways to help you increase your online income. "I've had some $30,000 months thanks to these tools and methods." "I think I was the most stupid member on here because of all the questions I had. You all made me feel one of the gang with all your help. That is the power of this forum." "For everyone who is in doubt. Just stay a member if you want to make money in the bizz. This forum is the best forum for making it whether you are a small time guy or a big time guy. Does not matter." Free? Paid? Which Subscription Would You Like? Premium Guides, Journeys, Case Studies, Shares, etc. by paying for a full year up front. A single fee of $924 for the entire year. © 2019, Online Income Monthly. All Rights Reserved.